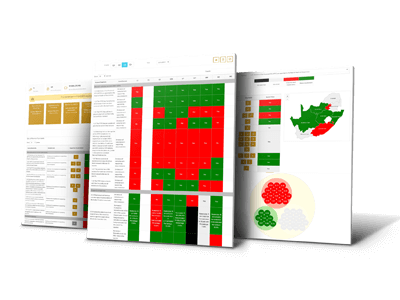 Monitoring of logistics status of 21 warehouses and 488 subdistricts for effective decision making. 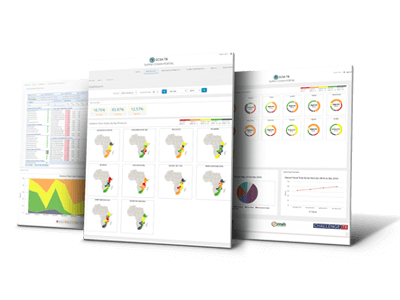 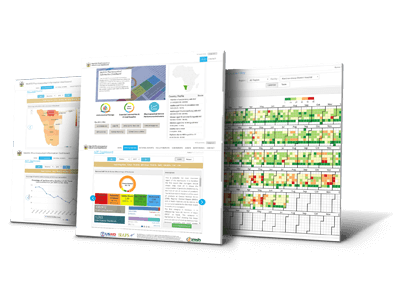 Allows to monitor stock status of 27,000+ family planning service delivery points. 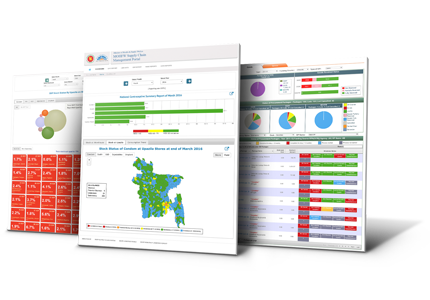 Allows monitoring of budget, plan, procurement, contracts and receive information of Ministry of Health & Family Welfare of Bangladesh. 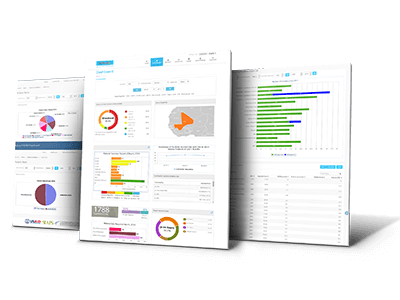 Health facilities can manage costly medical and office equipments. 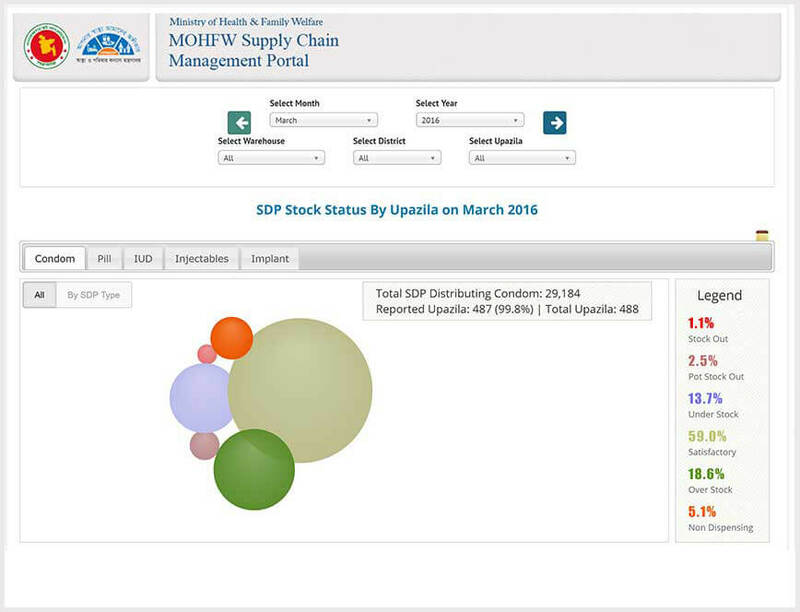 Supply Chain Management Portal (SCMP) is a one stop source of all procurement and logistics related information of Ministry of Health & Family Welfare of Bangladesh. 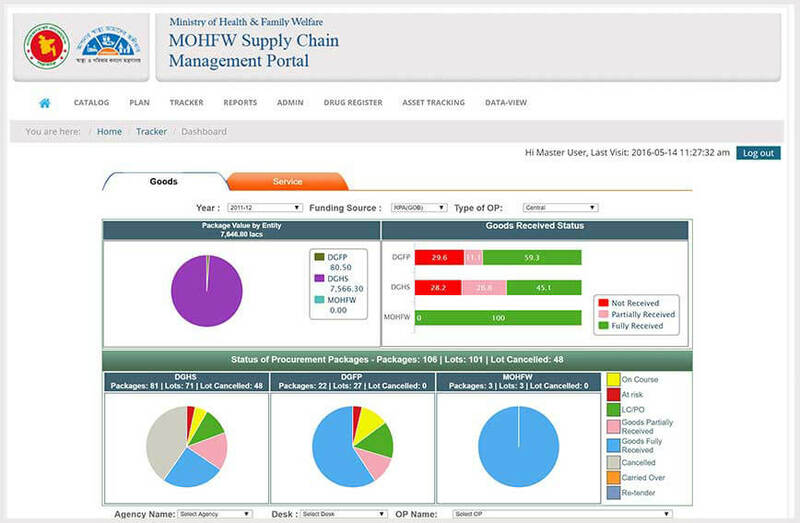 The procurement section is used by all procuring entities of MOHFW from 2012. 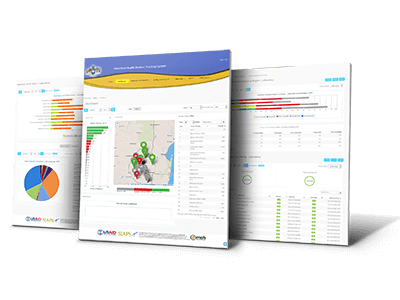 Logistics section has data from 21 warehouses, 488 subdistrict stores and 27,000+ service delivery points. 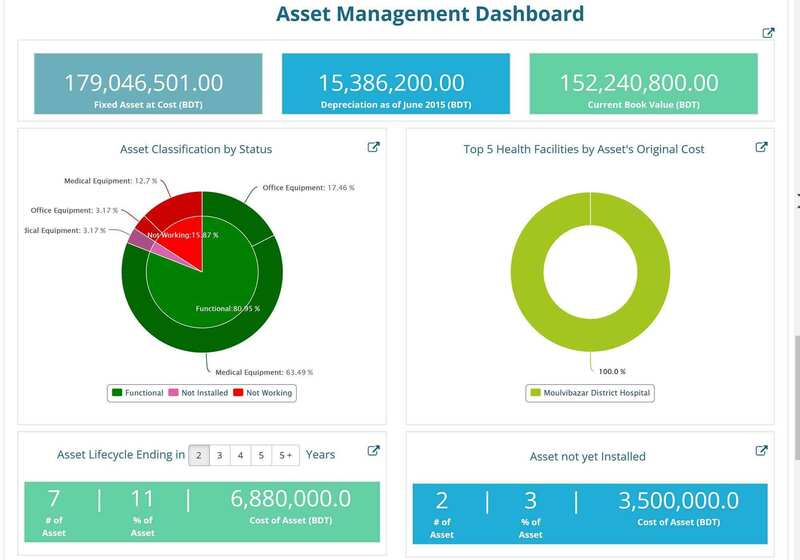 The portal has recently been extended to include an Asset Management System to track and monitor costly medical and office equipments in nearly 700 health facilities. 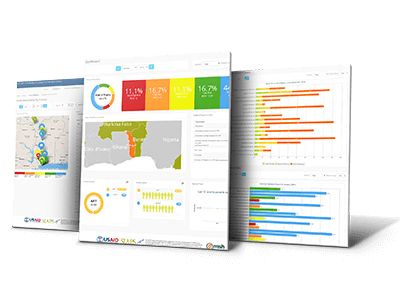 Generates various summary and detailed contraceptive logistics reports from monthly LMIS reports uploaded from 21 warehouses and 488 subdistrict stores. 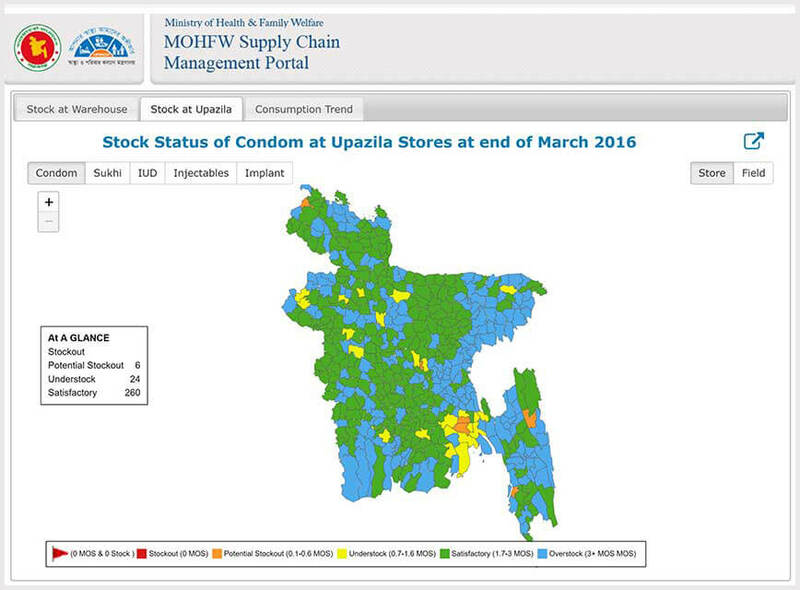 Bangladesh family planning program has 27,000+ service delivery points. 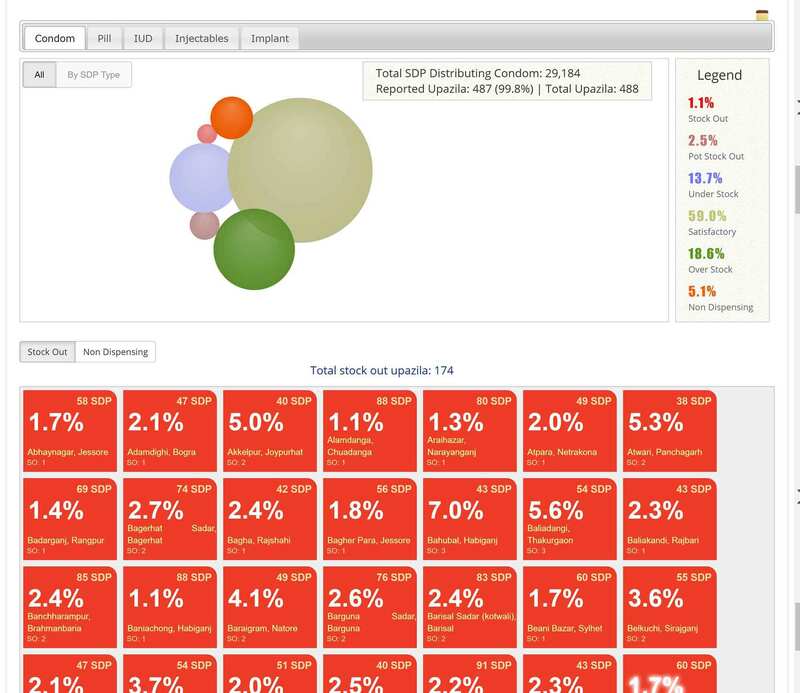 SDP dashboard consolidates monthly report from all these SDPs and generates summary reports. 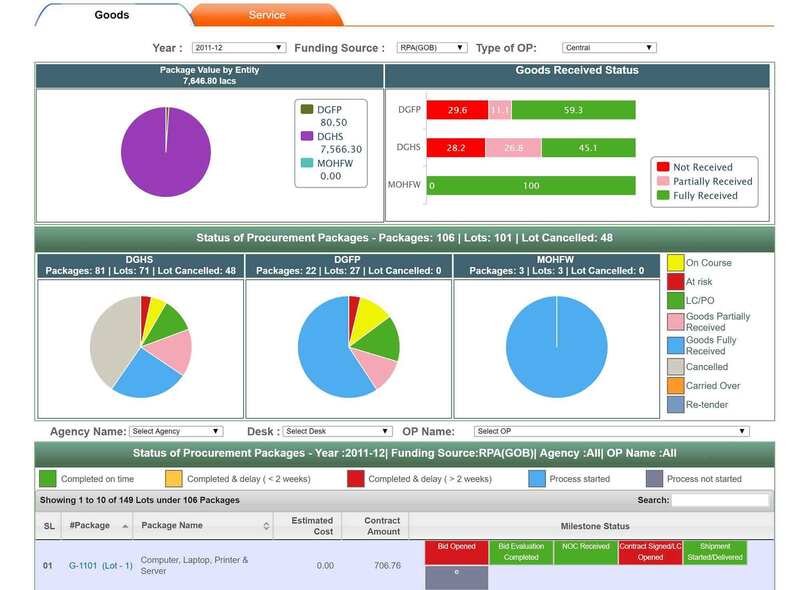 Monitoring of the complete procurement cycle of MOHFW, starting from budgeting, planning, packaging, contracting, shipment and receive. 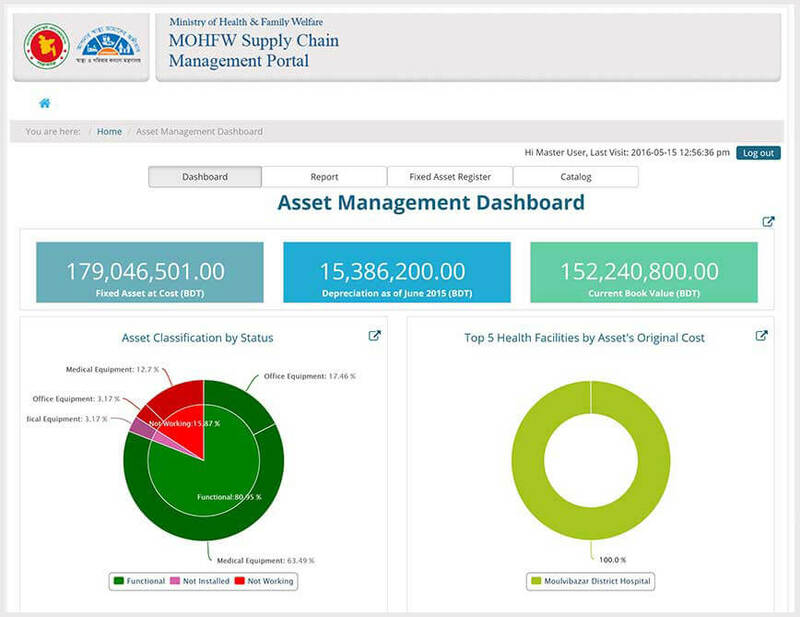 MOHFW decided to monitor all costly equipments in different health facilities starting from receiving till decommissioning.